Spray Foam Insulation in New Jersey, New York, and Pennsylvania - What's Your Choice? Coastal Insulation can inspect and evaluate insulation and airtightness levels at your house and provide the right energy-saving solutions. Contact us today for a free estimate for spray foam insulation in East Windsor, Princeton, Montgomery, New Brunswick, East Brunswick, Monroe Township, North Brunswick, Marlboro, Lawrence Township, Princeton, and the surrounding areas. 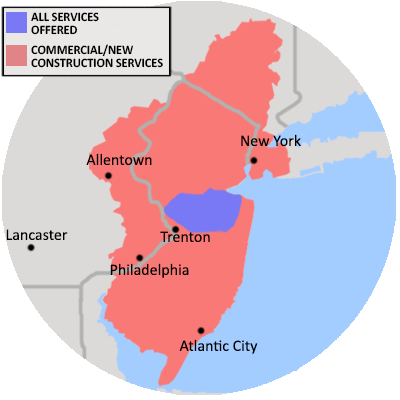 Coastal Insulation are your local experts for all your spray foam solutions in NJ, NY, and PA. Call us at 1-844-565-1285 or contact us online to schedule a free estimate for spray foam insulation in Old Bridge, Trenton, Hightstown, Monroe Township, East Brunswick, New Brunswick, Marlboro, Lawrence Township, Princeton, North Brunswick, and the surrounding areas.